John Barnard available at The Ultimate Living Company with free shipping. This beautifully elegant occasion table is a limited edition piece of only 13 worldwide, and comes with a signed and framed Seal of Authenticity and Limited Edition Certificate to serve as provenance. 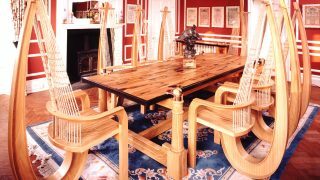 The Diana Willow Table was presented to the Prince and Princess of Wales as a wedding gift from the Royal County of Norfolk. It became a favourite of the Princess who used it daily, in particular to seat the young Princes Harry and William for their homework. They have suitably engraved their thoughts for posterity! 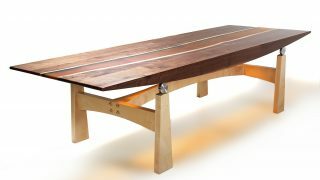 This beautifully proportioned piece graces as a coffee or occasional table, and has become an icon in the design world, winning a Guild Mark Certificate for its elegance and the apparent simplicity which belies its technical complexity. 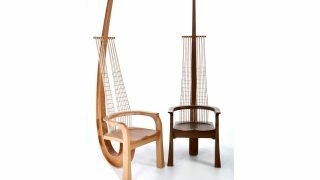 Hundreds of hours are required to achieve the precise forming of the timber to allow the suspension to ‘grow’ through the top and attach, most unusually, to the top surface. 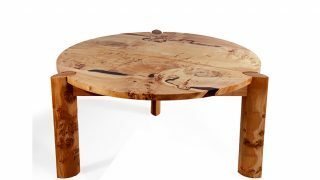 This design provides a direct echo of the Weeping Willow tree through its graceful and subtle curves which effect is enhanced by the firm base rooting the table to the floor. The finest English sycamore was used with a King of Chestnut trees top. There are no words that can describe John Barnard furniture. If you genuinely, truly want the very very best that money can buy then John Barnard it is. 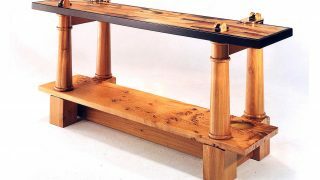 John Barnard is an internationally acclaimed and decorated craftsman who has supplied to royalty. 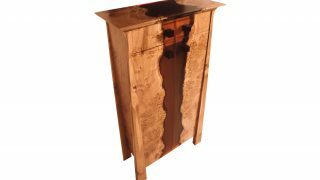 Using over 40 years of his experience leading a team of ultra-skilled craftsmen, John has developed some truly unique products. The Ultimate Living Company are immensely proud to be in partnership with a true hero of the furniture world, and this partnership allows us to truly offer you the very best furniture money can buy. 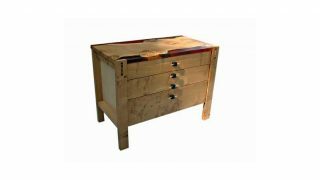 The John Barnard furniture collection is truly the very best in high-end furniture and bespoke furniture. John produces a variety of products, all unique. 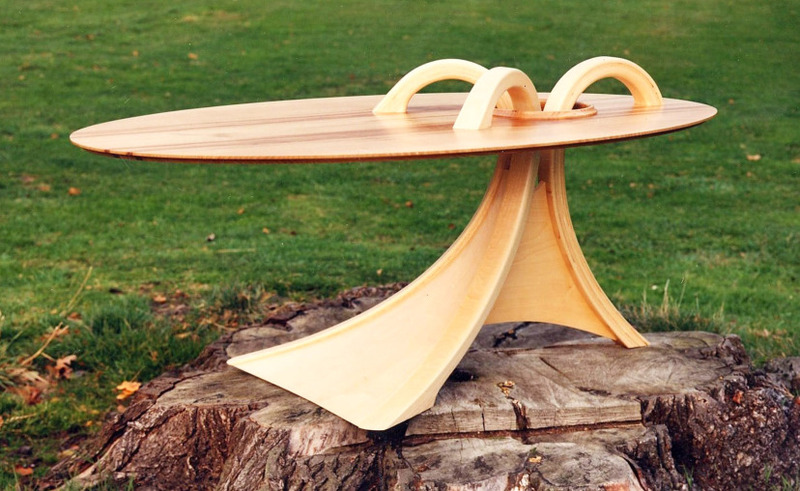 John Barnard produced the Willow table that the Royal County of Norfolk presented to the Prince and Princess of Wales on their wedding day – limited edition reproductions are available of this highly authentic piece. 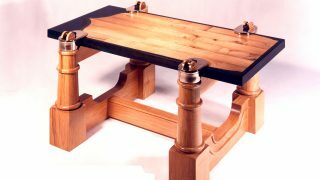 John Barnard is the only craftsman that is allowed to use wood from the world famous HMS Victory in his work! Integrating rare oak from the ship, these incredible pieces provide a stunning link to Britain’s past – every piece truly does tell a remarkable story. 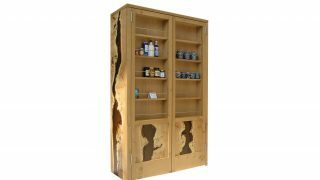 John Barnard is also the only craftsmen in the world to offer ResinRaptures furniture. This furniture has been developed using the perfect blend of years of experience and cutting edge modern technology – the results are stunning. Choose John Barnard Furniture only if you want the very best there is.